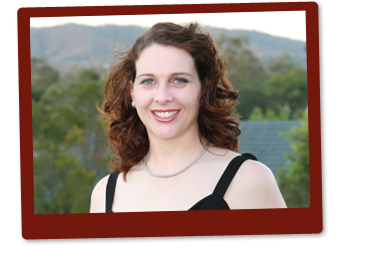 Dr Claylia Ward has been a registered dentist for 20 years and a registered specialist for 12 years. Having completed her Bachelor of Dentistry at UWA (where she won the University Prize as the top graduate in both Dentistry and Orthodontics) she applied for, and was accepted to, the UQ Masters in Orthodontics, of which only two positions were offered nationally for Australian students. The Masters programme is 3 years full-time including peer review, case management and the training of general dentists as to some of the introductory concepts required of the Specialist Orthodontic area. She has been a registered Specialist Orthodontist since 2002. Dr Ward has a focus on the cosmetic concerns of patients and is well aware of the improvement to self-confidence and quality of life a welcoming smile can make. She is a member of the Australian Society of Orthodontics, the professional association of Orthodontics and has applied for, and been accepted, as a member of the peer reviewed Australian Orthodontic Board where membership is only confirmed following submission and assessment of orthodontic cases, treatment programmes and importantly outcomes. Bite Right Orthodontics has four practice locations – Browns Plains, Jimboomba, Beaudesert and Kenmore. Dr Ward is the Sole practitioner and Principal which equals continuity of care for patients and a single point of contact – you see Dr Ward each and every appintment you have at Bite Right Orthodontics. We don’t operate out of or share premises with general dentists which allows Dr Ward to tailor your treatment plans independent of any financial arrangements with other practitioners. Dr Ward is able to bring her well-developed practical experience and professional knowledge to the treatment of her patients. As the mother of two soon-to-be teenage children she also understands the practical challenges and commitments required and can tailor a treatment programme to suit each individual patient. Let her help you.